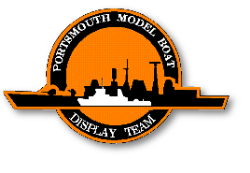 The Portsmouth Model Boat Display Team is now over thirty years old, always adapting, always ready to entertain. Since forming back in 1986, we have promoting Model Boating, in our own unique way, all around the country. We specialise in 'On the Water' displays involving the use of pyrotechnics, in themed, historically based set pieces. We have also branched out into static indoor displays of our models, not just ships and boats, but now covering aircraft, tanks, cars and science fiction based subjects. But our core has always been the model boats, promoting the hobby and encouraging newcomers to 'have a go'. Some of those newcomers have become over the years, some of our most valued members, passing on what they learn to a new generation of modellers. If you are interested in joining, the Team can be contacted via email or through our Facebook page.